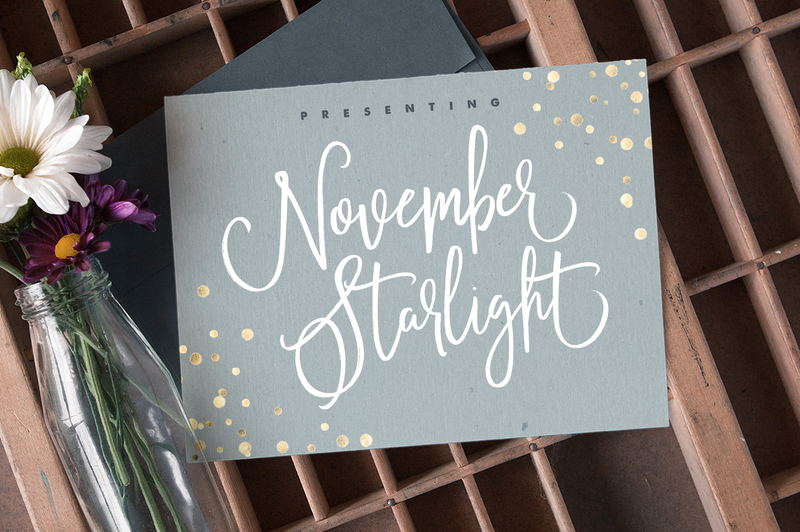 November Starlight is lovingly hand-painted script font created and published by Sam Parrett, an UK based lettering, typography and graphic designer who currently runs Set Sail Studios, a design collective dedicated to providing high quality, fresh & innovative digital media. Featuring elegant and extra bouncing characters, November Starlight comes with 2 different alternate styles, beginning & end swashes and much more. Get the light of November Starlight! A font description published on Wednesday, August 24th, 2016 in Fonts, Sam Parrett by Andrei that has 3,112 views.